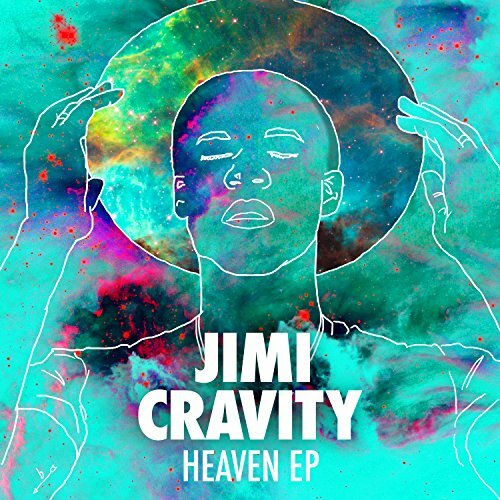 The latest signing to sixsteps Records, home to artists like Chris Tomlin, Matt Redman, Crowder, Christy Nockels and Kristian Stanfill; Jimi Cravity brings to the table something unique and fresh as he unveils his first project Heaven EP this January. With a myriad of musical genres packed within these 7 tracks, from hip hop to pop, worship to gospel, synth and electronic sounds to heartfelt reflective melodies, need I say that Jimi’s EP is by far one of the most musically diverse set of songs I’ve ever heard since TobyMac’s THIS IS NOT A TEST? Jimi’s EP, the first of any album within the Christian market to release before the prominent albums from Danny Gokey and Grayson Reed next week, can fly under the radar for most people if you haven’t really been looking for something new to listen to. Thankfully, I was able to listen to his illuminating and visually empowering music video for “Beacon” not too long ago, and while the music was alternative (to be honest, I often listen more to traditional CCM rather than anything that is ‘different’), I took a gamble, and decided to venture out to see if the rest of Jimi’s material is as engaging and emotively poignant as “Beacon”…and I was right. Heaven EP is a collision of a lot of musical styles, each one appealing to a different set of listeners. This is a must have if you thoroughly enjoyed anything from Passion and their artists, or if you are looking real hard for an alternative to Chris Tomlin, something just as worshipful but also stylistically compelling! Immediately from the opening bars of “Beacon”, I knew that the song was special. With a repetitious keyboard undertone to bring a beat and pulse to the song, that reminds us all that just as our heartbeat is central to who we are as a person, Jesus and His beacon of hope and light is central to our person (spiritually) as well; Jimi invites us all the sing alongside him in declaring that Jesus is the beacon of light that we need in our lives. As simple as that, this message is what is needed in this generation- one where light is snuffed out by the darkness, where we seemingly focus on the hopeless rather than the hopeful. Inspired by his son’s ongoing battle with cancer, Jimi crafted a powerful video to accompany an already poignant track, with Jimi singing amongst both the light and the shadows in a video that visually wants to show us the difference between being in the light and being covered by shadows and darkness. As said by Jimi himself, ‘…my song ‘Beacon’ is a song of triumph in the midst of shadows. It’s a bold declaration of a coming reality and a rich history. I wrote this as a prayer for my son, Britain, as he was in the hospital battling cancer. [For] it’s a song for anyone who needs hope. The video depicts the power of light in the midst of shadows…’ A standout from the get go, “Beacon” shoots up to be one of my favourite songs I’ve heard in 2017 thus far, alongside Zach Williams’ “Survivor”. Really the song to listen to if you were to listen to any track at all from the EP, track #1 on Jimi’s first project is enough for anyone to at least give the EP a listen…and believe me, you won’t be disappointed by the end of the EP listening experience! ‘…”Surrender” came to me as an honest song. The inspiration behind it was the need to surrender to Christ. I was very anxious about my life, career, and worrying too much. So this song was really my prayer to God to say, “I surrender to You, not to worry, frustration, or anxiety. The bridge of the song was really taken out of Psalms 24…’ “Surrender”, recently on Passion 2016’s studio album Salvation’s Tide is Rising, is another standout by Jimi on his new EP, and while the song is virtually one year old (Salvation’s Tide is Rising released on January 1st 2016 digitally and at the end of January in CD format), “Surrender” still has the poignancy and heart, even one year on. Starting with an African style backing vocal, with light percussion and a swaying ‘jungle’ beat that isn’t necessarily attributed to worship music, Jimi imparts to us that it is when we surrender ourselves fully to Christ and all that He is that He can permeate through us entirely, as we become fully transformed in His image- that’s if we want to of course. The song is all about us surrendering who we are, but it has to come from a willing heart. Surrendering doesn’t happen unless we are the ones willing to lay down whatever is hindering us from God at that moment, and then God will inhabit us, even the parts we want God not to see. “Surrender” was a standout on Passion’s 2016 album, and is still a standout amongst these new songs from Jimi as well! “GO” is as heartfelt as it is quirky, emotive as it is confronting, and while it may take us all a few times to listen to the song for the message to soak through, we need this song in this day and age more than ever. “GO” features more an acoustical undertone as Jimi pleads with us all to believe into the fact that regardless of our circumstances, God never lets us go. Or, to put things in more of a universal appeal, we all have people in our lives that will hold onto us and stick by us even if we are falling apart. God is indeed the first One who comes to mind when I hear “GO”, but the song can be interpreted in another way- someone singing to their friend, that they’ll never let go of them no matter what trials they face. “GO” is a moment of humility, and one where we need to hear and realise that there are people in our lives, God Himself included, that champion us even if we don’t champion ourselves. “Gave it All” utilises a lot of experimental sounds as Jimi invites us into a sonic moment of enrichment and appreciation as “Gave it All” literally is one of the most unique songs I’ve heard musically in a long, long time. Standing at 5:02, Jimi utilises the electronic keyboard and presents a moment of realisation, that ‘…all my burdens are forgotten, because You came back to life, this passing world shall be forgotten and Your kingdom will rise…’– and with an opening lyric line like that, then you know that “Gave it All” will be something special…and it is. “Believe” is a happy song for us all to embrace as Jimi invites us all into this dance-worship-acoustic number, one that relays a message of standing tall and firm for what we believe in, knowing that ‘…You’ve seen me at my highs and in my lows, You’re the key to the life, there’s no place else to go, and when the leaves fall down and the world knows seasons change, You’re the only thing that’s always stayed the same…’, while “Prada (The Luxury of Suffering)” is a song just about that- suffering. It paints the picture that Jesus had to go through in order for the bridge from us to God to be built, and boy was it a harrowing experience for Jesus all those years ago. “Prada” is a moment, one for us to contemplate and realise, that Jesus went through what He did so that we don’t have to. It is a song of lament and reflection, of thankfulness and hope, and one that is needed in our society where suffering and the meaning of it can sometimes be distorted. But it is the EP ender “Hallelujah” (no not the Leonard Cohen song but rather an originally written one) that really stands out for me (alongside “Beacon”). Simple in that it doesn’t really have that many words, just the repeating stanza of ‘hallelujah’, alongside other revelations like ‘…all Your glory, stripped down to nothing, hallelujah, You make me perfect through all Your suffering, hallelujah…’, it is often through the simplest songs lyrically that we realise that the impact of them can be the hardest hitting. Sometimes to write something lyrically and theologically grandiose can seem to be overkill in a wide amount of circumstances, which is why I reckon “Hallelujah”, though not necessarily groundbreaking theologically, can nevertheless still have an impact leading into the rest of 2017. A great way to end the album, Jimi’s song “Hallelujah” quickly shoots up my list of favourite songs of the year, maybe, just maybe surpassing “Beacon” as my favourite song on Heaven EP! ‘…with my music I hope to accomplish glory. Not for myself, but for God. I see God as a giver and music as his gift to me; I hope that it is embraced as a gift as well. I’m hoping to accomplish social change in society and really use my music to advance some issues that I want to change in society…’ Jimi’s first EP (of hopefully many) is indeed a revelation. Sad to say, Chris Tomlin, but Jimi’s music is something more of a reinvention of the worship music genre, compared to Chris’s latest effort Never Lose Sight. Sure we had artists like All Sons and Daugthers, Crowder, UNITED, Paul Baloche and Tim Hughes, even Meredith Andrews and Phil Wickham that earnestly and fervently worked to change the culture that comes with creating music for worship and the church, yet with Heaven EP, we see the whole genre of worship music turned on its head, shaken and rearranged. This is not the music our parents listened to growing up, and maybe some may say that this type of music is too alternative, yet this, I reckon, is what is needed for more young people to hear what God is trying to stir up in their soul. Jimi’s new EP is one that is a must have if you do enjoy worship music or just music in general. Even if you only hear the EP to just hear “Beacon”, Jimi’s music ought not to be glossed over. Set aside some time to listen, and hear the unique and powerful songs borne from moments of hope and suffering, of joy and celebration, as each of these genres expressed in these seven tracks are indeed just a fraction of what we will hear when we get to heaven one day. Kudos to Jimi for creating something that is different and out of the box, here’s to a successful career in the future- can’t wait to the full length album whenever it comes!